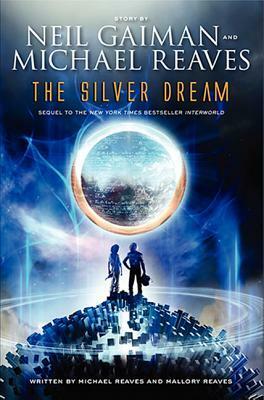 In The Silver Dream Michael Reaves and Mallory Reaves continue Joey's story. Joey is now a cadet at Interworld Academy, along with countless other incarnations of himself. That's right - all the trainees and officers are other versions of Joey from alternate timelines and worlds. The strange variations of Joey, like Jakon, Jo, Jaran, and more, are honestly a bit contrived. They read like MMORPG characters, which can be appealing to some but can just be outright dumb to other readers. Joey and his teammates must fight soldiers from the techno-freak BINARY, alchemic creations from the magical HEX, rescue new recruits, and figure out mysteries of the quantum universe while still trying to look cool and make friends. This is a series for those who love adventure, science fiction, and action. Fans of The Lightning Thief and Harry Potter, Artemis Fowl and Ender's Game will especially enjoy this series. It reads like a movie - because it was originally conceived as one by Neil Gaiman. It is action-packed, funny, and told from a typical teenage boy's perspective. There is a lot of silly humor, a light sprinkling of romance, and a lot of fast-paced and slightly ridiculous action hijinks. One of the downsides of the futuristic setting is that the science fiction details get a little confusing at times, but really it just adds to the cool factor. I particularly liked how the Binary and HEX organizations struggled for control over the plethora of alternate worlds, which were themselves spread along a spectrum from magic-heavy to technological superpowers. While it isn't the most unique or literary of sci-fi adventures, it is definitely a fun and fast read!